Police officers stand outside a bank in Maple, Ont., where an armed man was killed by police. VAUGHAN, Ont. 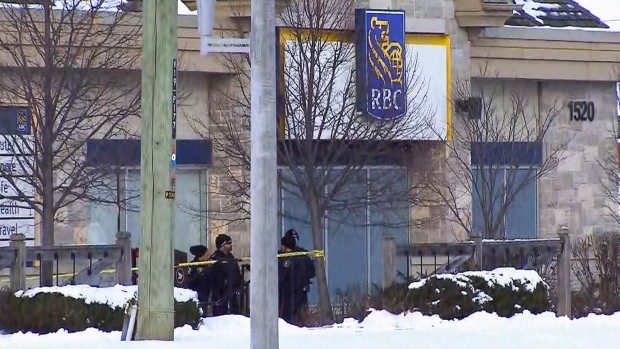 -- Ontario's police watchdog says it will not charge officers who fatally shot a 25-year-old man during a hostage-taking at a bank. The SIU says York regional police reported that authorization was given to "eliminate the threat" posed by the suspect, and he was shot and killed by police. The SIU is an arm's length agency that is automatically called in to investigate reports involving police where there has been death, serious injury or allegations of sexual assault.